The first twenty minutes or so of the latest festive frolic are perfect Doctor Who- whimsical, funny, affecting and imaginative. James Bond-like we join matters at the end of an unseen adventure as the Doctor saves the world but ends up plummeting to Earth in a safety suit from which he cannot escape. Its wartime Britain but resourceful housewife Madge Arwell helps him receiving a promise of a favour in return if she ever needs it. Three years later with her pilot husband missing believed dead; Madge wants to give her two children one great Xmas before telling them the truth she has so far avoided revealing to them. 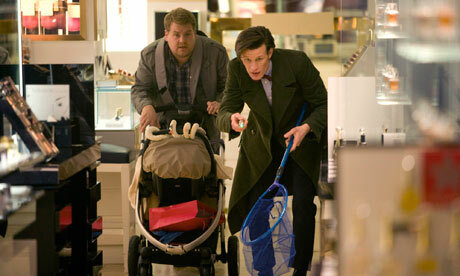 "Blimey, Rory's changed a bit!" 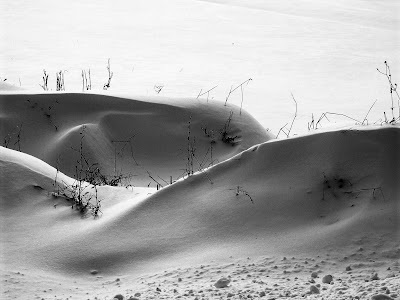 One of the aspects of winter we have got used to recently is the media informing us of “snow chaos” as the temperatures plummet, snow falls and ice lurks in hidden corners. Certainly the winters of 1962-3 and 2010-11 qualify as bad ones but generally people around today have escaped the UK’s very worst winters. During the decade up to two years ago we became used to mild winters with very little snow and no need for 18 layers of clothing. That may not be the case for much longer though with many climate scientists suggesting we are entering a mini Ice Age similar to the one that created some of the severest winters in the 1600s. 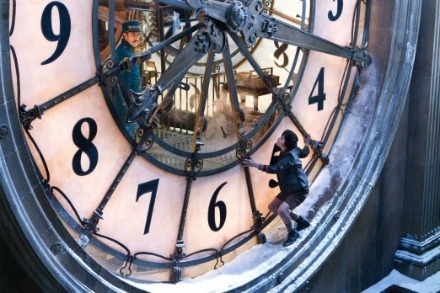 Martin Scorsese's new film Hugo is wonderful- and frustrating but definitely worth seeing. Sometimes a film arrives that defies categorisation and simply sits majestically in its own space. Though marketed- somewhat erroneously- as a children’s movie, Hugo is such an enterprise. While not without flaws and sometimes struggling to contain a narrative packed with exposition, Hugo is a delight because someone dared to make it. 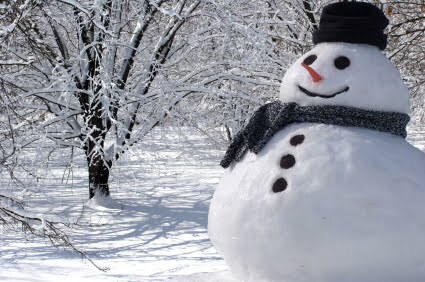 ﻿If this winter is anything like the last two, snowmen should be appearing everywhere. While it may supposedly be children who make them the truth is that snowmen fascinate people of all ages. The best time to make one is when snow has compacted but is still moist, a few days after it has snowed rather than straight away. If the snow is powdery it won’t stick together properly. You can make a large snowball by simply rolling the snow until it is large enough- some people create three spheres for head, torso and lower body. If you’re ambitious then you could shape it out of one huge lump of snow but this is harder work. 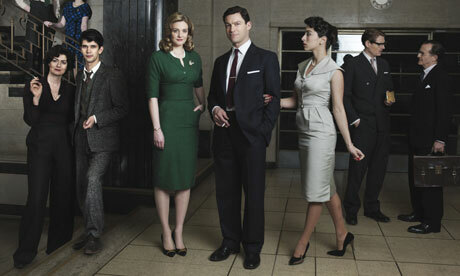 Can Misfits survive without its lead character? John Connors looks at the first half of the third season to find out. 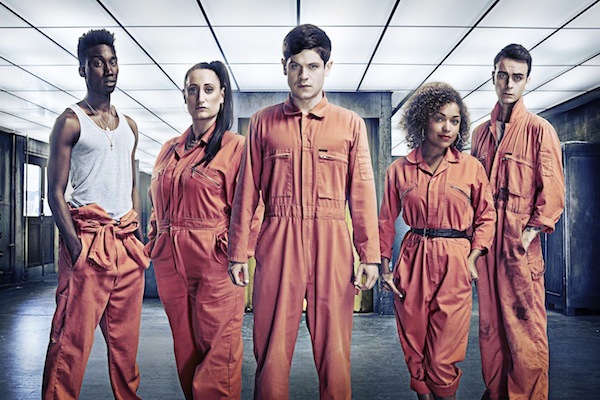 At first it seems as if the departure of Robert Sheehan and his larger than life character Nathan will make little difference to Misfits. Newcomer Rudy with his two personalities talking to each other initially proves easily able to make us forget Nathan. Joe Gilgun provides identifiable enough gaps between Rudy’s two aspects and the conversations he has with himself are wittily scripted and performed. In a Nathan like way, for much of the first episode he’s at risk of making the others seem a little dull and responsible. Visually the episode bristles with confidence from its trademark shooting style and some excellent effects, the most subtle of these being Curtis’ shadowy morphing which seems to happen without you noticing. In 1956 Marilyn Munroe came to the UK to film The Prince and the Showgirl an inconsequential Terrance Rattigan penned comedy also starring Laurence Olivier. On set as well, working as a third assistant director was Colin Clark whose connections had wrangled him the job of third assistant director in which he ended up looking after the Hollywood star. Filming was legendarily fractious; in one sentence in this film, adapted by Adrian Hodges from Clark’s book, the character sums up the differences between Marilyn and as she dubs him “Lord Olivier” as two stars in different fields both seeking the credibility that the other had. Not any more. Nowadays everyone speaks Fan. You hear people who’ve never worn a Klingon mask or screamed at David Tennant talking about “season five”. They discuss story arcs like you can buy them at Tescos. It’s spread to other genres too; now people compare the merits of the plots and characters of seasons 3 and 4 of Doc Martin or Spooks for example. Even James Bond, the perennially unchanging spy now apparently luxuriates in a character arc. 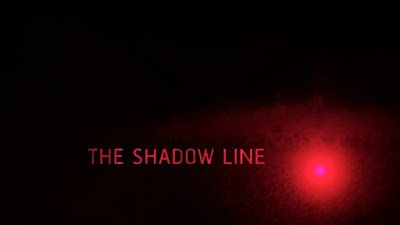 The period from the late 1990s until last year was a rich one for home grown cinema yielding a number of excellent (and admittedly some not so excellent) movies showcasing UK talent from in front and behind the camera. Many of these films did follow a certain pattern, by economic necessity set in urban cities- often London- and starring both unknowns and what seemed to be like a repertory of actors skilled at this sort of `gritty` drama. 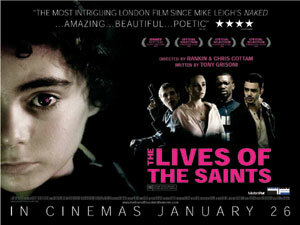 Slipping under the wider critical radar in 2006, The Lives of the Saints is such a film. These are heady days for Merlin, confidentially occupying the old Casualty slot and keeping healthy ratings despite The X Factor being on opposite. It might be something to do with the quality of stories this season and also the fact that they underscore an ongoing plot rather than being mostly stand alone. In other series- notably Doctor Who – this approach has come in for some criticism but it appears to be paying dividends for Merlin. The season so far seems altogether more focussed, more driven with the plots freer because they don’t necessarily have to end up with the status quo week after week. It also fits the sort of legend that King Arthur- whichever version you might name- really is; epic, grandiose and taking characters on amazing journeys. For a series like this to be thriving and still reaching new heights- both artistically and commercially- in its fourth season is something to celebrate. Even Morgana in her dark cottage is probably smiling about it once a week! 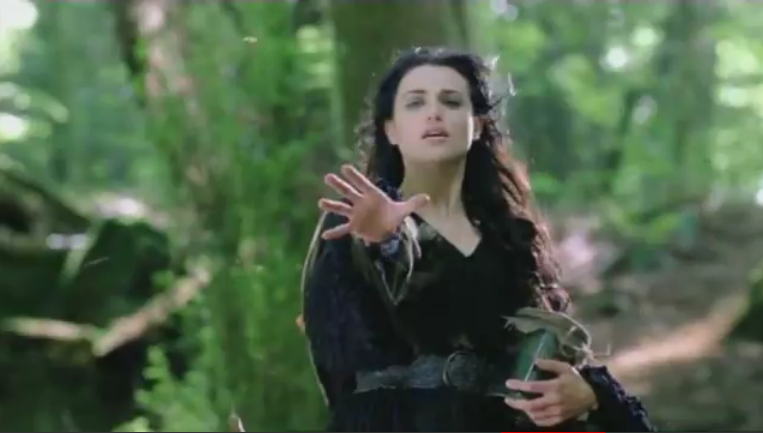 Evil Morgana doesn't want you to see the spoliers....or does she? You’re in a restaurant and things are going well but you have made what could be a fundamental mistake. You have ordered some kind of spaghetti. Not that there’s anything wrong with such a noodletastic meal in itself, it’s just that when it comes to eating it a disaster could potentially be lurking just around the corner. 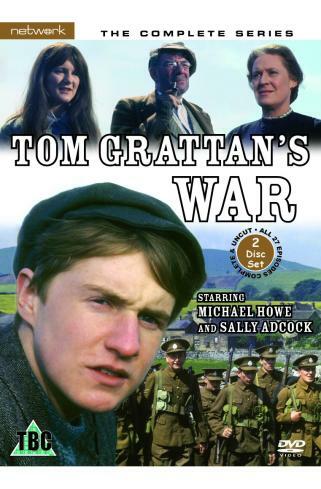 Tom Grattan’s War, a World War One drama made in the late 1960s is a classic children’s serial says John Connors. Drama aimed at a younger audience is something of a different proposition to what would broadly be described as `children’s’ programmes`. The very best of the former can still be watched today and some of it is certainly well enough written and made to transcend it’s intended audience and simply be called `good television drama`. On TWU in the past we have discovered the exceptionally high quality of series like The Ghosts of Motley Hall, The Feathered Serpent and Children of the Stones but these date from the 1970s, the so called golden age of drama aimed at younger viewers. 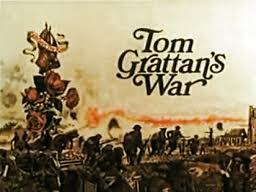 Finding a gem of similar distinction in the late 1960s is indeed a surprise but Tom Grattan’s War is certainly the equal of those classic 1970s and 80s series often mentioned. The oddest thing about the The Adventures of Tintin is not the motion capture movement but the relative lack of context. While we can guess at the date where the action is happening any insight into who Tintin is remains left to our imagination. It’s highly unusual these days for a potential movie adaptation franchise to leap in with no background information about its lead character. 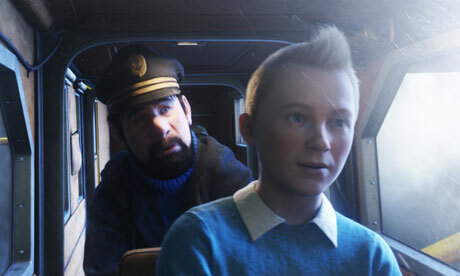 So, we don’t really even know how old Tintin is, how he came to be able to afford an apartment and car, how he manages to become a `boy reporter` etc etc. Normally people moan about over exposition in a first film but here while the plot details are extrapolated to the nth degree the only character we can really invest in or learn anything about, is Captain Haddock. Although published in 1949, George R Stewart’s sprawling epic Earth Abides was neither the first, nor the last fiction to delete homo sapiens from the world. For Stewart, it is a virus that wipes out the human race. But mass-extinction had been a popular theme for writers at least since Mary Shelley’s The Last Man in 1826, in which a viral-plague devastates civilisation, followed by the awful anguish of Matthew Phipps (MP) Shiel’s sole inheritor of a world depopulated by The Purple Cloud (1901). After Stewart’s novel the Cold War thermonuclear confrontation gave atomic catastrophe the added frisson of terrible political relevance, with world-ending cataclysm brought about by a regular arsenal of frightful doomsday weapons. In fact, Stewart alludes to global war as his character – Isherwood Williams, muses on the irony that ‘the trouble you’re expecting never happens’. People have ‘been trembling about destruction through war’, and ‘having bad dreams of cities blown to pieces’, but that ‘it’s always something that sneaks up the other way’. It’s an idea that’s been picked up and re-envisioned numerous times since in various inventive ways, with humanity variously drowned, grilled, frozen, irradiated, crystallised, burned and eaten by perambulating plants. Stephen King acknowledging the influence of Earth Abides on his The Stand (1978, revised 1990), with echoes up to Will Smith’s cinematic last man in New York in Richard Matheson’s I Am Legen’ (2007), or the ongoing Twenty-Eight Days Later movie series (2002 & 2007). 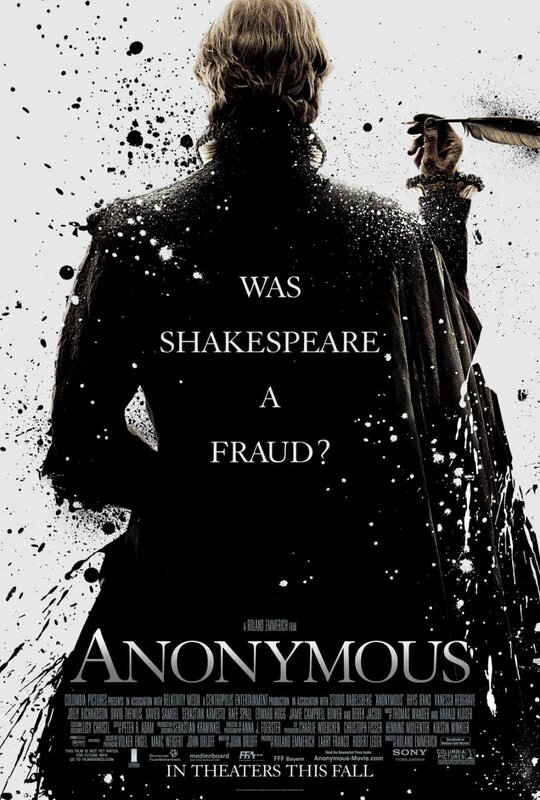 The critical and academic response to Anonymous makes you want to praise it more. Rather like the current Three Musketeers movie, Ronald Emmerich’s latest has drawn considerable fire either for its (lack of) accuracy or as a piece of filmmaking. Yet beneath the harsh words, you can sense a holier than thou attitude. At least with Alexander Dumas it’s only his story that’s been altered. For poor old Will Shakespeare, his very credentials are under scrutiny. And of course the idea he didn’t pen his famous works its nonsense in a way. As Bill Bryson neatly surmised a few years back (and which Shakesperios will no doubt expand on in conservable detail) - there is probably a wider difference between the fame of his work and proven facts about his life than for any other famous historical person, however there is enough evidence to prove his authorship. Yet the idea that he didn’t write the plays is actually more interesting than the fact that he did. It’s called fiction and Ronald Emmerich, who usually spends his days blowing up famous monuments, has made a rather fun film with it. John Newman bolts the doors and settles down to watch The Shadow Line. With opening music that sounds like a spectral hymn and characters whose names seem self consciously melodramatic- Gabriel, Bede, Gatehouse, Wrattan – The Shadow Line appears to be an attempt to bring high art to police procedural and criminal gangs. In a way it is – and it does- yet not in the way you expect. 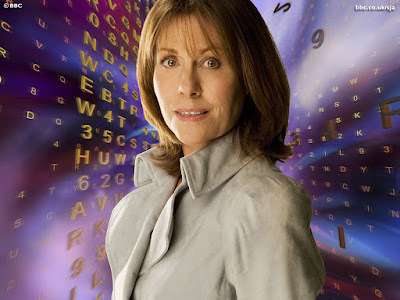 The Sarah Jane Adventures bow out with a trio of excellent stories. It’s impossible to watch these final six episodes of The Sarah Jane Adventures without thinking of what happened after they were made though there had already been reports that this was planned as the final series due to the young cast growing up and, perhaps, the inevitable BBC cuts. Season opener `Sky` seems to contradict that introducing the title character as a potential replacement for Clyde and Rani, both of whom are now clearly too old to still be at school. It’s a great season opener, including a big explosion, an impressive “metal kind” creature and strong performances all round. Phil Ford’s script manages to circumnavigate any budgetary restrictions to bring a vivid feel of a galactic war headed for Earth while director Ashley Way makes sweeping use of the power station in which the main action is filmed. 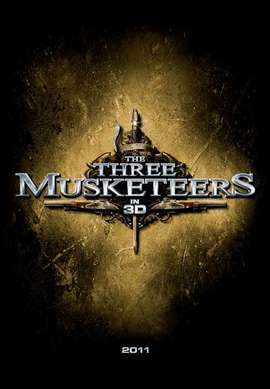 Rambunctious, playful, exciting and funny, the latest version of the trusty Alexander Dumas classic The Three Musketeers is a must see. While remaining largely faithful to the source material, the film plays with modern motifs and adds a certain steampunk ethos to proceedings. In that respect it bears roughly the same relation to its predecessors as Guy Ritchie’s updated Sherlock Holmes did and Paul WS Anderson’s film is just as enjoyable. 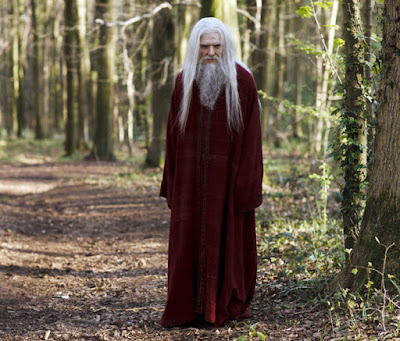 The success of the third series of Merlin earned it both a reprieve from an initial ten episode commission for a fourth and we can only presume that the BBC were so impressed by this year’s episodes that they granted a fifth series before this one was even shown. Thus the creators will be able to conclude their planned five season arc. However it does mean that from an audience point of view, having always impressed without the sort of expectations that sometimes overwhelm Doctor Who, 2011 sees Merlin return for the first time with some pressure to perform well. 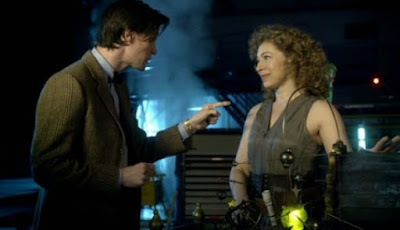 "Spoilers if you go past here matey"
At least one thing` Closing Time` and `The Wedding of River Song` has done is silence the tedious cries from various quarters that ‘the Doctor has just committed casual genocide against the Silents’. There seems to be a Doctor Who fandom equivalent of Godwin’s Law (loosely, ‘there is a finite time in any internet discussion before someone makes an analogy to Hitler or the Nazis, at which point they have lost the argument’) whereby there is a rush to find genocidal or similar bad or dark behaviour in the central character. Just to be clear, giving a race enough power to recognise a predatory enemy and defend itself if not morally equivalent to genocide (after all, the predator can just out of your way, or else defend itself), nor is it likely to be efficient enough to remove a whole species. Sorry, rant over. That said, the second half of the series (32? 6B? Smith 2? Apple petrichor?) has certainly had a slightly fannish obsession with the downside of being the Doctor. It cannot be said that this was not forewarned. When we were told how high the Doctor would rise and how low he would fall, I think many expected some huge and spectacular rise and fall all within `A Good Man Goes to War`. What we have actually seen has been far subtler; a fairly impressive rise in his ‘Coalition of the willing, and a couple of the coerced’ that managed, with heavy losses, to defeat two armies at Daemons Run. (And yes, I did think about whether or not to insert an apostrophe there – think of the rhyme!) 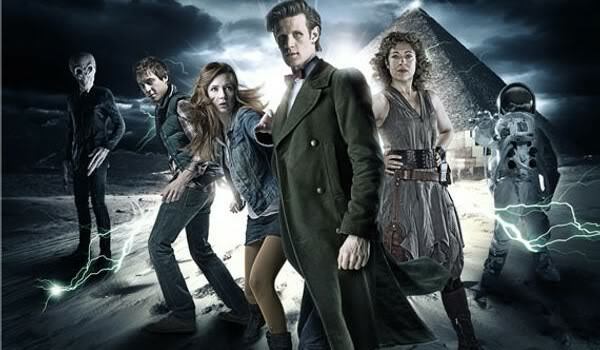 The fall, however, was not the sudden reverse and kidnap of Melody Pond, but rather the slow erosion of the Doctor’s sense of self-worth and belief in his right to have companions. This is, in a way, old ground from the RTD era, and if I have any complaints about it as a plot arc it is that I would have anticipated more objections to the view from companions. When people used to go on about the flexible format of Doctor Who they were talking bunkum because it’s only since its return in 2005 that the series has been flexible enough to include episodes like this. Likeable though conceptually slight, `Closing Time` (another pun title) makes you smile and keeps you entertained. It seems to have been designed to appeal to those who like Matt Smith and James Corden messing around which they do with much gusto whether battling a Cybermat or looking after a baby. They are a good team punctuating the episode with some amusing behaviour. Perhaps JC chose the wrong partner for his comedy series of a few years ago. Will Matt catch any bargains? About half way through The Hour something surprising happens. The hitherto enjoyable enough series becomes something quite gripping and the disparate elements that had seemed so odd suddenly splice together to begin a tremendous surge to the conclusion. Abi Morgan’s script is ambitious in scope- she is simultaneously trying to depict political and social commentary via the story of a pioneering current affairs TV series and she is also writing a spy thriller. On top of that, it is also a love story. The chance of these fragments working together seems remote and indeed over the first couple of episodes they do jar. 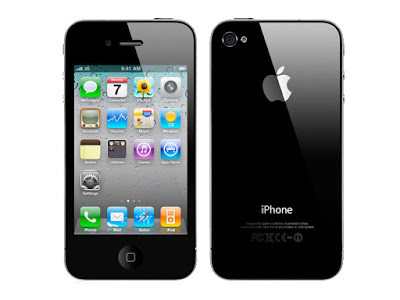 What legacy has Steve Jobs left us? Nobody is in any doubt about the huge role Steve Jobs in particular and Apple in general has played in re-shaping the way we live our lives. Devices such as the iPod, iPhone and iPad have grown in record time from being the shiny new gadget to ubiquitous essentials. They have become things people feel they cannot do without which is remarkable when you think that not so long ago they didn’t exist. While Apple did not invent these things per se, Jobs’ genius was to develop and combine existing technology with a canny insight into what people would be persuaded to buy. 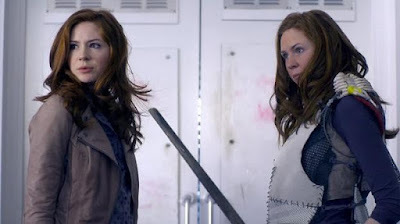 Another popular internet based cult media site recently suggested that “The Girl Who Waited” had been greeted by unanimous critical praise on its transmission and was by some distance one of the best Matt Smith episodes yet. Really? Two reviewers for the show with two Amys seemed like an amusing idea for this site at first. Then “The Girl” made planet fall and with it came two very different points of view. One of us believed this to be the best Matt Smith episode yet; the other thought “Night Terrors” trumped it for spooky thrills. One saw this episode as a classical fairytale, dripping with enchanted gardens, magic mirrors, wizened old women and reluctant heroes. The other saw this episode as 45 minutes of banality about a relationship he wasn’t interested in starring a Doctor that wasn’t David Tennant. One of us watched this episode in a state of shock that it was so good. The other remained totally unmoved. This is how (flame) wars are started, people. This is not a kindness. Observe. "I've been waiting for this bus for 35 years, dearie"
This was an event and a half in 1972. The Daleks back for their first story in seven years, heralded by a stunning Radio Times cover. As a season opener, being this Doctor’s first rematch against a former incarnation’s enemy and also a time hopping tale that encompasses a possible world war it is within touching distance of classic status. Why doesn’t it quite reach? Well, when the Daleks finally travel to our time to invade there are, let’s face it, three of them. And all the beautiful autumnal Sun filtered filming cannot disguise this fact. It shouldn’t matter but it does. "We'll have four lagers, please." 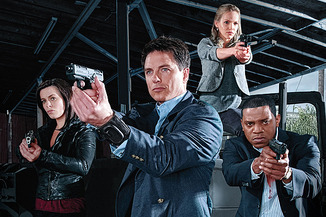 It was a surprise to everyone that silly old Torchwood ended up producing something as superb as Children of Earth, one of 2009’s television highlights. The problem then became how to follow what was surely intended to be the series’ swansong. Turning up a tardy two years on, Miracle Day finds the chameleonic series undergoing yet another change, this time becoming a co-production with US company Starz. How much Stateside influence has infiltrated Torchwood was bound to be almost as intriguing as what the series was about. `The Sunmakers` has limited appeal- anyone under working age will find it dull, anyone who’s been paying taxes for a while will find the ideas here far from the ` sniping at the taxman` tale it has a reputation for. The story is so pleased with itself that it dismisses the rather more interesting idea of making Suns in favour of what is another rebellion against a corrupt regime. "I'm not taking credit for this story!" As an addendum to his Sounds of Silence article, Matthew Kilburn considers how religion is being used in a Good Man Goes to War. 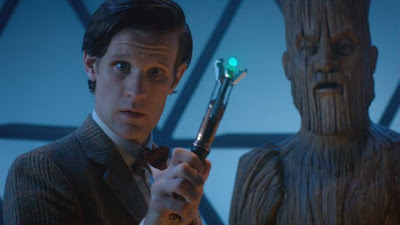 Having promised a discussion of themes and symbols in my review of ‘A Good Man Goes to War’ and ‘Let’s Kill Hitler’, I barely mentioned Steven Moffat’s return to considering obsession and militarism through religion in Doctor Who. As well as enlarging upon a target of Russell T Davies’s Doctor Who, Moffat paints it with a shade of red which is both bloodier and more implicitly associable with Catholic Christian hierarchy. 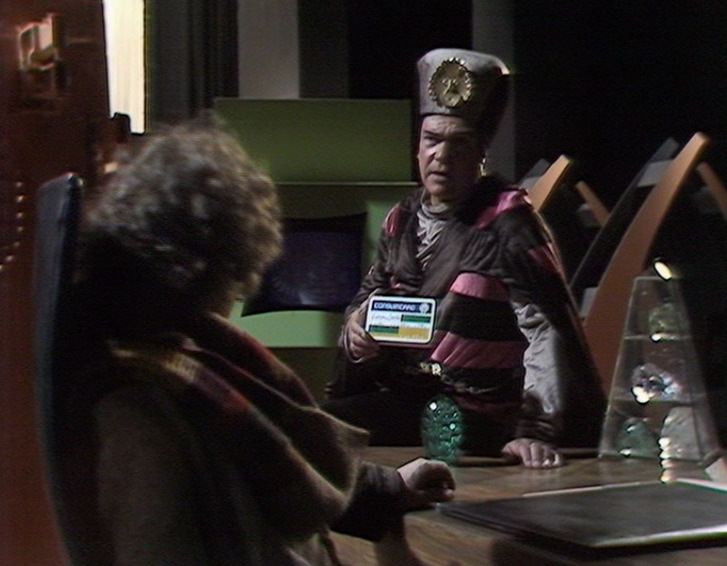 Did the Doctor Who episode `Night Terrors`scare Tim Worthington? What a difference a short mid-season break makes. Only a couple of weeks ago, this writer was happily enthusing about how the revived Doctor Who is at its best when it's like Sizzlin' Bacon Monster Munch or something. Now it's time to review another episode, and in between, the world seems to have gone completely mad. 'Hackgate', rioting, some pillock throwing a sausage on a fork at Alan Sugar, the bewildering summer of 2011 was like an entire decade's worth of jaw-dropping news stories crammed into a handful of days, and it's something of a relief to find the apparent return to normality accompanied by the return of your favourite Saturday evening sci-fi silliness. Except that Primeval isn't actually back on yet. Anyone expecting an on stage re-creation of the recent Christopher Nolan version of the enduring vigilante crime fighter is advised to steer clear of this production whose focus is very much on the brash colours of the comic book and ,especially, the look that Joel Schumacher's films achieved. Luckily it largely avoids the excesses that burdened the latter and uses broad, effective storytelling favoured by the former. 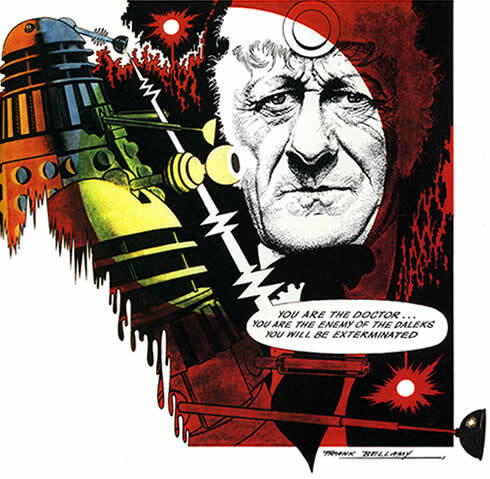 ‘A Good Man Goes to War’ and ‘Let’s Kill Hitler’ are not a two-part story, within whatever strictures now exist in the conventions of Doctor Who writing. 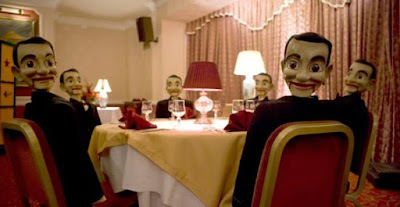 They do, however, share themes and symbols which are not only common in Steven Moffat’s writing but have particular meanings in these two episodes. The effect is to suggest the trajectory of the season arc towards ‘The Wedding of River Song’. "You're Mavic Chen's sister? Really? No! Really...?" The furious fan reaction to series twenty four of Doctor Who casts a long shadow. Even now, twenty four years later -appropriately enough- writing a negative review feels like conforming to fan opinion while being positive seems deliberately contrary. 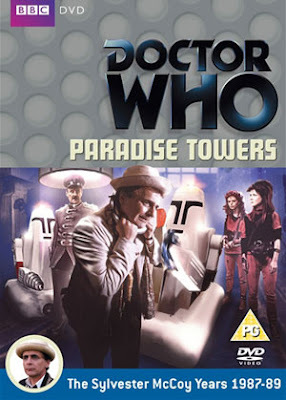 And the problem is `Paradise Towers` doesn't deserve either slagging off or praising as an undiscovered classic. It's like `The Sun Makers`, or `Underworld`, or `The Mutants`, or `The Invisible Enemy`, or any of those stories which knock around mid-chart when someone does a survey of fan opinion. In short, it's average. A fun story with moments of inspiration let down by questionable production decisions and compromises due to budget and resources. When we grow up, we imagine that the things around at that point will always be around but the older you get the more you realise anything could potentially become outmoded. There has already been a lot of discussion relating to the demise of compact discs and DVDs but this is the tip of the iceberg (and icebergs themselves could be on the way out too). So, in no particular order, here’s our top things that we will probably see the end of in the next ten years. 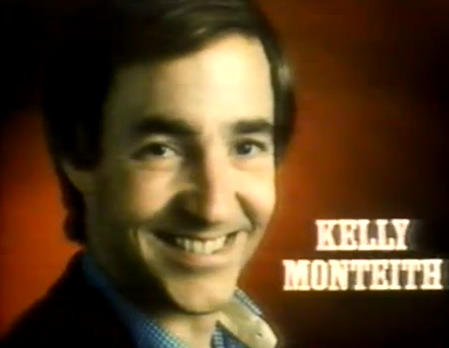 In the late seventies, American standup comedian Kelly Monteith, already a TV star in his home country, found himself temporarily based in London. Following a string of well-recieved guest appearances on Des O'ConnorTonight, the BBC - noting his popularity and comfortability with UK audiences - approached him about the possibility of appearing in his own show. As luck would have it, Monteith had been unsuccessfully hawking a format around the more restrictive American networks for a while, and it proved to be exactly what the BBC were looking for. Co-written with longtime David Frost collaborator Neil Shand, the self-titled series starred Monteith as, erm, a standup comedian named Kelly Monteith, charting comic incidents that occurred as he and his wife Gabrielle Drake adjusted to life in London. Except it wasn't quite as much of a conventional sitcom as that might make it sound. 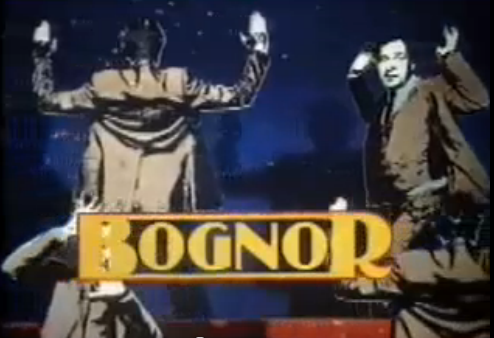 Throughout the sixties and seventies, ITC were responsible for the vast majority of ITV's most popular detective, sci-fi/fantasy and action series, with their long list of hits including The Prisoner, The Saint, The Champions, Thunderbirds, Randall And Hopkirk (Deceased) and Department S. Even less successful shows, like The Zoo Gang, The Adventurer and Gideon's Way, have their fan followings. And then there’s Skiboy. Apes Rise to the Top! Finally, the blockbuster summer film we’ve been waiting for! A brisk 105 minutes sees this prequel to the 1968 classic Planet of the Apes skilfully navigate an exposition heavy narrative through several years before the action kicks in. The result is markedly different from the season’s other tent pole movies in that we have a real stake in the story and the film never overplays its hand. 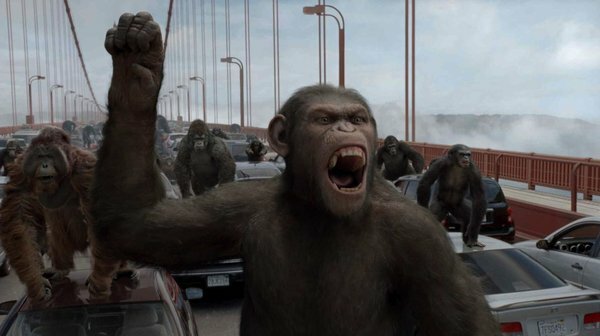 The final half hour delivers thrills galore as the apes break out and run amok in San Francisco by which time we know them well. 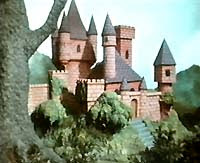 Mention Camberwick Green or Trumpton to anyone of a certain age, and they'll probably know what you're talking about. Mention the slightly less well-remembered Chigley, and you're likely to start to get a few blank looks. And if you mention Rubovia, you'll probably just get accused of having made it up. So far, most of the shows on this list have been ones that should be remembered as much for their prominence as their erstwhile popularity. 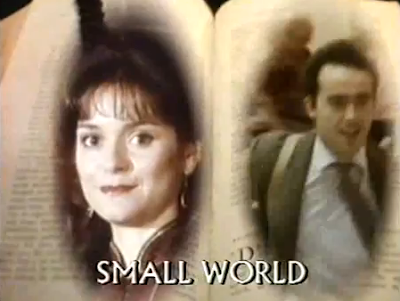 Madcap romantic drama Small World, however, was a genuine smash and one of the most talked about shows of its time. As many have already pointed out- and which is abundantly clear from the moment it starts- Super 8 is a film in awe of early Steven Spielberg. It’s tempting to speculate on uncomfortable moments when he got to see just how faithful a facsimile of the sorcerer’s work the apprentice turned in. This is double edged for writer / director JJ Abrams who might be accused on the one hand of plagiarism but praised on the other of lighting up what has been a fairly repetitive summer of clanging action. 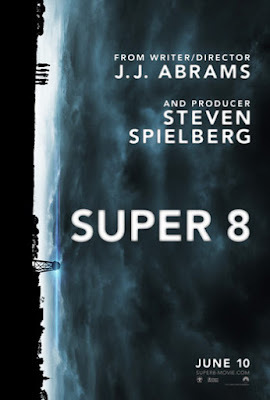 Unlike almost all of its 2011 rivals, Super 8 has a beating heart and for the most part this is strong enough to make the film a worthwhile exercise in its own right rather than just a tribute. Network Distribution who have released dozens of classic and archive TV titles have vowed to carry on despite a huge fire at a storage depot in Enfield last week which destroyed all their stock. The building, Sony Entertainment’s only UK DVD and cd warehouse, was gutted by fire on 8 August, after rioters set it ablaze. The damage affected vast amounts of stock held by several UK independent music labels and film companies during an already parlous decade for both. Network says stock availability will be affected “for the next few weeks” with all titles due for release this month- and possibly beyond- delayed. However they have vowed to continue their service. For some reason, ITV's lunchtime children's shows tend to be less well remembered than their BBC counterparts. For every Rainbow or Chorlton & The Wheelies, there are dozens that ran for years yet have seemingly since been almost entirely forgotten. 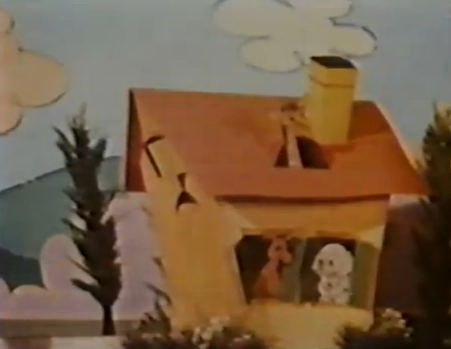 One such show is The Enchanted House, an animated oddity that was repeated endlessly during the seventies. Reflecting the social and economic environment of the time, the late seventies and early eighties saw the introduction of countless hard-up underachieving TV detectives. Inevitably given a grim urban landscape to do their detecting in and family problems to wrestle with in their spare time, most of them were intentionally as workaday and rank and file as TV detectives come. Simon Bognor, on the other hand, most definitely was not. Drawn from a series of successful novels by Tim Heald, Bognor was a 'Special Investigator' for the Board of Trade, the grand-sounding title masking the fact that he was obliged to spend his time prying into industrial chicanery and import-related intrigue, bringing him up against 'villains' who were more penny-pinching than megalomaniacal. During the course of his television adventures he would cross paperwork-laden swords with swindling monks, poison pen-wielding journalists, and a hushed-up mysterious death in the world of show poodles. It wasn't one of the owners. In the late eighties, the BBC decided that they needed a hit comedy sketch show as a lead-in to their Saturday night TV schedules. The only problem was that the audience hadn't quite decided that they needed one too. Something For The Weekend was primarily concieved as a vehicle for Susie Blake, already a small-screen veteran but then the subject of much interest over her role as the announcer in BBC2's Victoria Wood - As Seen On TV. Hoping to capitalise on this, albeit some two and a half years after the last edition, the Light Entertainment department installed her in a new sketch show as one fifth of a team of up and coming comics, alongside Caroline Leddy, James Gaddas, Mike Doyle and Mike Hayley. 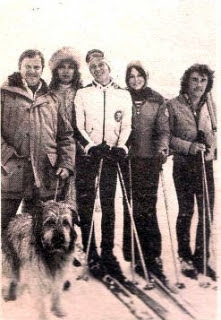 Most of the others were relative newcomers, and only Gaddas and Leddy (formerly part of much-touted comedy troupe The Millies, alongside Richard Thomas, Donna McPhail and Jo Unwin) had much in the way of a public profile. In the early eighties, BBC2 made a short-lived attempt at filling the notorious scheduling wasteland between 6pm and 7pm with all manner of sophisticated teenager-slanted entertainment. Numerous high-concept dramas, sitcoms and pop music shows came and went in a flurry of cheers from the target audience and jeers from disapproving parents, but concepts never came higher than they did with bizarre comedy sketch show Dear Heart. Forgotten tv - Hear'Say It's Saturday! It all seems so innocent now. Back in 2001, ITV's Popstars saw an ad-hoc pop group assembled from clearly quite talented youngsters by a panel of judges that actually knew something about the behind-the-scenes side of the industry. What's more, it was all pre-recorded and presented in a documentary format, without a single phone-in vote to rig. The non-voting public certainly took to Popstars,as it slowly climbed the ratings to challenge the all-conquering soaps by the end of its run. 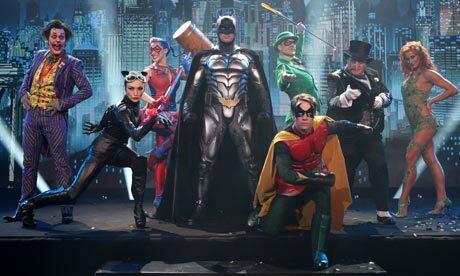 Kym, Myleene, Suzanne, Danny and Noel (come on, you were struggling, weren't you? 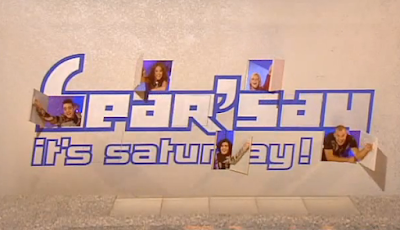 ), collectively known as Hear'say (nobody was ever quite sure what the apostrophe was all about), went on to become huge chart stars for a brief but intense eighteen months with a string of likeable pop songs. Sensing the public were starting to lose interest, they split in 2002 after two albums, going on to surprisingly successful careers in stage musicals, soap operas and, erm, classical music. No, really. There are the 'big' TV shows, widely remembered for both good and bad reasons. There are the obscure shows, many of them nonetheless the subject of keen critical attention. And in between, there are so many more that were popular - or at least prominent - in their day, but have rarely been mentioned since. If it's not famous for being good, notorious for being bad, or full of retrospective cultural significance, chances are that the average (in both senses) TV show - especially in the days when almost everything was made basically to be shown once - will soon fade from the public memory. Even pulling in huge ratings or taking up a primetime slot for a hefty continuous stretch cannot save it from becoming the stuff of ill-fated 'does anyone remember...?' conversations and career footnotes on IMDB. You'll never find this sort of show being enthused over on clip shows, or repeated on digital channels. The TV equivalent, more or less, of Mississippi by Pussycat or Baby Jump by Mungo Jerry - songs that were number one hits at the time (they were, look them up!) but have rarely been heard since. Except, in this case, it's rarely seen rather than rarely heard. Well, the comparison still works. Sort of.